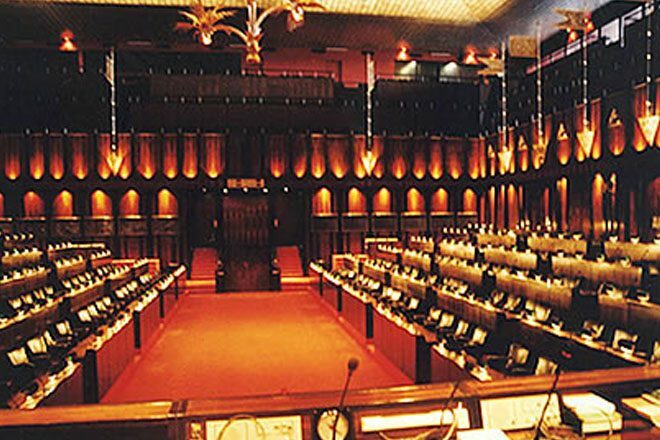 Oct 27, 2018 (LBO) – Sri Lanka’s Parliament has been suspended until 16 November 2018 by the President, Presidential Secretariat said issuing a gazette. Presidential Secretariat added that the Secretary to the Prime Minister Saman Ekanayakathe has also been removed from his post. The Speaker in a statement asked all parties to act democratically to resolve the issue. Meanwhile, the delegation of the European Union has issued the following statement in agreement with the EU Heads of Mission resident in Colombo. The Ambassador of the European Union as well as the Ambassadors of France, Germany, Italy, the Netherlands, Romania and the UK High Commissioner are closely following the events as they are unfolding in Sri Lanka. 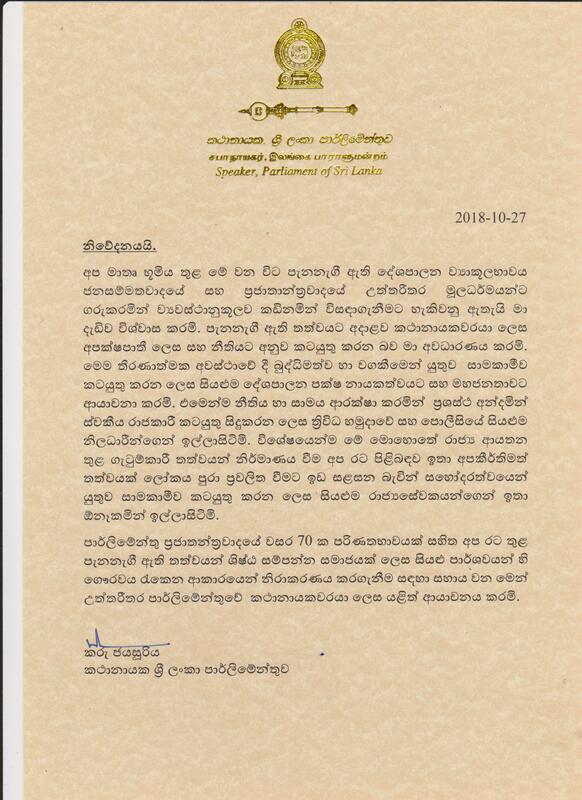 We urge all parties to fully act in accordance with Sri Lanka’s constitution, to refrain from violence, to follow due institutional process, to respect the independence of institutions, and freedom of media.